Get & Download Sims 4 Ps4 Cheats below. 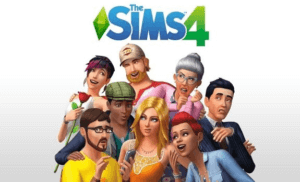 1 Get & Download Sims 4 Ps4 Cheats below. We’ll be talking about how to use cheats on Sims 4. First of all, we have to create a new game to demonstrate what it looks like to use cheats for a new household. For this procedure, we will be using premium household ‘Purdue’ and quiz it. After that, a screen will pop up with the following message “Select the checkmark to save this household to your Library and begin playing”. This is the process of going to the world menu. Tick it. What you need to know is the fact that you won’t be able to use cheats until you go into the Lit mode and use the testing cheats mode. Once you are on the world map, first and foremost you have to know how to open up the cheat Console so you press L1 L2 R1 and R2. The console we used for this procedure is PlayStation 4. We also have cheats for other gaming platforms too. Controls are almost exactly the same on Xbox One. So the cheats that you are going to need before using any other cheat as the testing cheats true. We have already used this cheat before and by pressing done the game will let you know that you won’t be able to progress with achievements and trophies. So when you enable “testingcheats true” you will not progress. Once this cheat is enabled, you can choose all sort of cheats now. Now go and explore you favorite debug objects in the Search bar. One of the cheats which will help you progress with careers, first off we need to find a job for our sim. The cheat to promote your sim in a certain career is “Careers. Promote astronaut”. There are some other interesting cheats with there description listed below. Here we have listed down all the possible cheats for sims 4 ps4 cheats. You have to open up the cheat console box in order to enter the cheats in the game. The drawback of using cheats on console is same like on Pc, you will not receive achievements and trophies. So we suggest you enjoy this game fully at once, then try cheats. Once you’ve enabled the testingcheats true, now its time for some quick cash. Enter the following command in the Cheat console box. death.toggle [true/false] Removes death in your World. sims.give_satisfaction_points [number] Adds a certain amount of Satisfaction Points to your Sim. stats.stats.set_skill_level VampireLore 15 Sims 4 cheats ps4 vampire. When your sims are active and in the live mode, press the controller top shoulder button at once. The pattern will be L1, L2, L3, and L4 at the same time. This will open up a white box at the top left corner of the screen. This is the cheat console box where you can enter cheats for your gameplay. Now type “testingcheats true“, this will enable the cheats mode in your Sims 4 Ps4 game. Once you have woohoo and your sim character is pregnant, you can use Pregnancy Cheats for their specified results. Visit the Page Pregnancy Cheats and get Specified Sims 4 Pregnancy Page. Use these cheat codes to create an Imminent Death to your sim character. Codes and their results are mentioned in this Sims 4 Death Cheats page with Detail. It’s time for building some stuff in your household. Sims 4 ps4 build mode is exactly the same like on the PC version of the game. You can move objects at a different location and start decorating your house. Go to the cheat console box and enter testingcheats true. Now enter the following cheat codes for their result. bb.moveobjects Lets you place objects without any limitations. hovereffects [on/off] Shows/hides the white outline when hovering over an Object/Sim. casclockspeed [0–10] Lets you decide how slow or fast will Sims move in Create A Sim. It’s time to follow the path that you most desire for your sim character. Use sims 4 career cheats to promote or demote your sims character for a specified job/career. First of all, you have to understand the code structure. Press L1, L2, L3, and L4 and type “testingcheats true“. Now enter “careers.promote/demote career“. Replace word “career“ with your favorite job/career in the game. For example “careers.promote actor” will promote your sim character by 1 level. “careers.demote actor” will demote your sim character by 1 level. The highest level you can promote/demote is level 10. The Sims 4 career cheats are explained in detail here. When you’re in a specified career mode, you have to increase your skill set for different perks. All these codes will help you to increase or decrease your skill level specified by skill type. Cheat code example: “stats.set_skill_level skilltype 1=10“. Replace “skilltype” with your favorite skill type and digit “1-10” to increase or decrease the level. Code Example: “stats.set_skill Major_Programming 4“. All Sims 4 Skills Cheats Are Mentioned Here. All the major cheat codes we have listed in our site will work in the console version of the game. If a cheat code is not working in your console version of the game, there is much possible reason like you’re not entering the codes correctly, codes are available for Expansion packs or you have not enabled the “testingcheats mode” enabled. According to the official guide from the sims 4 developers, not all cheat codes will work in the console version of this game. Try all The Sims 4 Cheats listed here and let us know which cheat codes worked for you. How do you change the language on the Sims 4 Ps4? From your Ps4 dashboard select setting>Languages>System Languages. This will open a list of languages from which you can choose from. Select a language and press X.
Sims 4 cheats not working in ps4? You must be in Live mode in order to make the cheat codes work. Once you’re in the live mode open up the cheat console box and type “testingcheats true“. Can you play Sims 4 Online Ps4? Sims 4 is a complete single player game, there is no Multiplayer or Co-op mode within the game itself. Are cheat codes safe for ps4? There are some limitations for using the cheat codes in the game. You will not receive Achievements and rewards in the future. How do you speed up pregnancy on Sims 4 ps4? Enter the cheat console box by pressing L1, L2, L3 and L4 from your controller and type sims.add_buff pregnancy_inlabor to send your sim character immediately into labor. How to get the Cheat bar up on Sims 4 Ps4? In order to enter into the cheat mode, you need to go to your household. Once you’re there press L1, l2, L3, and L4 at the same time on your Ps4 Controller. Download Sims 4 PS4 Cheats from Below link.